The average person spends 95% of their life indoors. This is the first time in history that individuals have been so disconnected from the planet and confined inside our schools, workplaces and homes. The buildings we spend our time in are often full of toxins such as pesticides, molds and several other harmful fumes from furniture, paint and carpet adhesives. 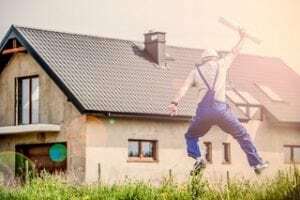 With many taking their overall health and wellness into consideration, using a healthier building material, such as hempcrete, may be a perfect solution. Hempcrete is a building material made from industrial hemp fibers mixed with lime. It is durable, sustainable, carbon negative and provides a long-term healthier option for buildings. Being an athlete and health conscious person, I personally have a goal to live in a hemp home one day! Here are 5 topics to consider living in a hemp home in the future. Hemp requires little or no pesticides to grow. While the material is being grown for building construction, it only takes a few months to grow for harvest. Hemp requires much less water than other crops. In addition, the crop will help Earth’s soil by replenishing nutrients, instead of depleting the soil like many crops. Hempcrete is naturally fire resistant. When hemp hurds, water and lime are combined to form hempcrete, it creates a flame-resistant building material. Several tests have concluded that even after direct contact with a flame, hempcrete remains almost untouched. Similarly, as to when hemp is being grown, it provides its own natural pest deterrent. It has the same result when made into hempcrete, which provides a building material that does not need to be saturated with toxic chemicals to deter pests, such as termites. While hempcrete dries, it absorbs carbon dioxide produced by its occupants and grows stronger, turning it into a stone like material. This provides a carbon-negative building material by leaving less of the greenhouse gas than is produced by building with it. Although it sequesters carbon dioxide, it remains breathable with other gases and moisture and is less prone to mold. This makes it a perfect living space for those with compromised immune systems or allergies to mold. No other building material provides natural defenses against elements, while also providing superior air quality for its inhabitants. Not only are hemp homes healthier for your overall health and wellness, they’re healthier for the planet by providing much more sustainable living structures. Hemp homes are extremely durable and have an estimated life span up to 800 years, which is almost 8 times longer than modern day homes. Since the structure is made from natural materials it also makes hempcrete homes biodegradable and recyclable. 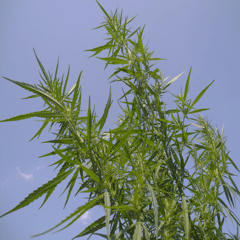 The regulations are changing rapidly for industrial hemp production around the planet. 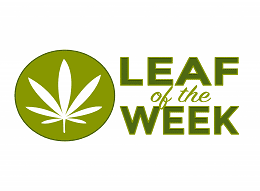 In addition, education about hemp and its uses are removing stereotypes and creating promising opportunities for hemp as a building material. Hempcrete homes are being built and providing proof of concept for builders and home owners. I believe hempcrete buildings will be the new way to live a healthier life and help save our planet.